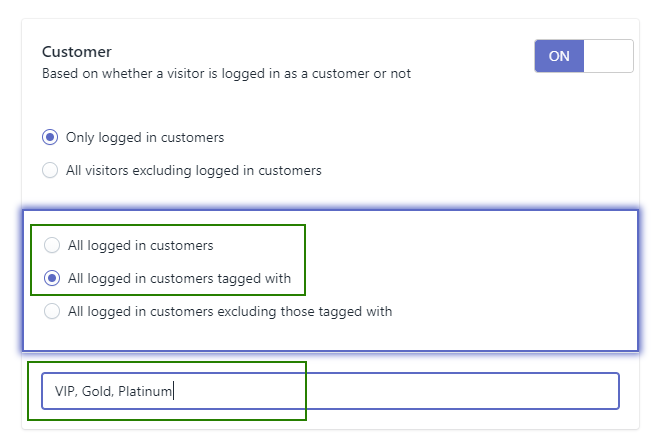 How do I create a discount for logged in customers? Getting new leads is always more expensive than selling to existing customers. To increase CLTV (Customer LifeTime Value) you may want to implement a loyalty program. As part of that program you may want to provide a discount to your most loyal customers and that's where Discount Ninja comes in. 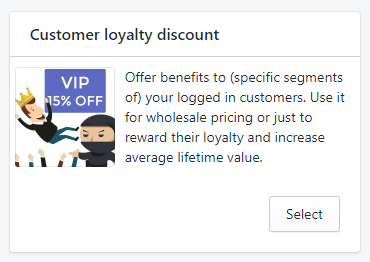 Discount Ninja detects when customers are logged in and understands if they are "tagged" or not. The app can then automatically add a discount to the cart of the customer. How do I tag a customer? In the Shopify admin, go to Customers. 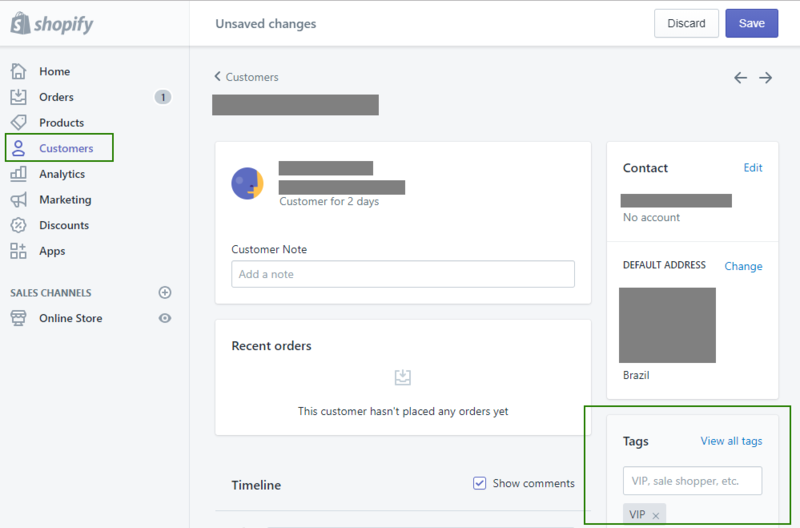 Open a customer account and use the "Tags" section to set a tag. How do I set this type of promotion up in Discount Ninja? On the Building Blocks disable / enable the blocks required. Typically, you'll want to set up only the sticky bar and the notification, to inform customers about the discount they get, but you can add an optional pop-up as well.